An alluring timeless piece, this tempred glass vessel basin from Valley Acrylic is a classic in bathroom design. Bringing a classical aesthetic to any space that hosts it; this aqua tinted bowl will serve as a centrepoint in any bathroom design. With a geometric, V-shaped basin and contemporary styling, the 23-inch Reve sink makes a striking focal point for your bathroom. Combine with the Reve pedestal or wall-mount Reve products for a dramatic ensemble. This elegantly simple oval drop-in basin would be the perfect addition to any bathroom, from classic to modern, and as part of Valley Acrylic's affordable luxury series it is manufactured to the highest standards of durability and style. 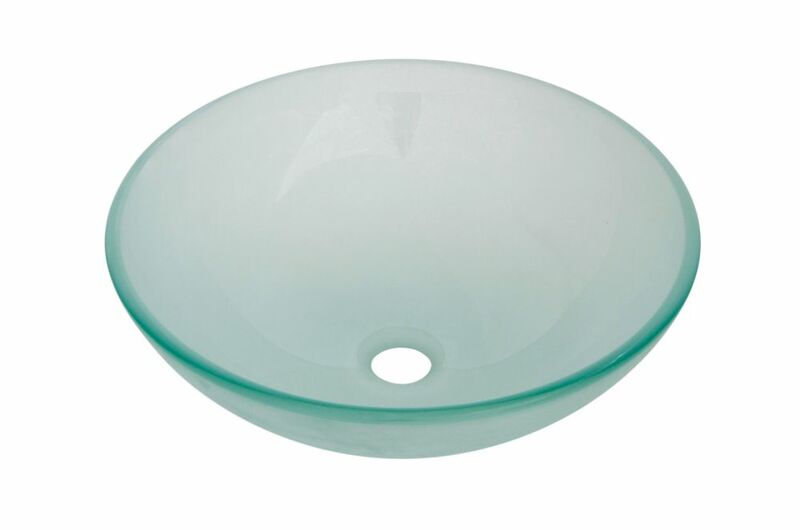 This basin is also CSA approved, includes a rear overflow, and is manufactured from high quality vitreous china. Amia Basin An alluring timeless piece, this tempred glass vessel basin from Valley Acrylic is a classic in bathroom design. Bringing a classical aesthetic to any space that hosts it; this aqua tinted bowl will serve as a centrepoint in any bathroom design.